Galway-based company Kevin Burke Tyres (KBT) has been supplying the public and the motor trade for nearly 20 years. 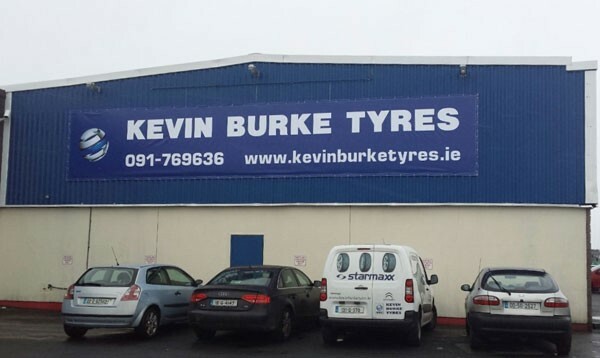 Kevin Burke Tyres prides itself on an unrivalled level of customer service through the retail, fleet, commercial, agricultural and wholesale markets and offering the widest selection of tyres from the leading manufacturers. Established by Athenry native Kevin in his home town in 1995, KBT quickly developed a reputation for premium brands at reasonable prices and that continues to be the cornerstone of their business. “We have three retail depots located in Athenry, Riverside Industrial Estate in Galway City and our new depot in Labane, Ardrahan,” explained Managing Director Kevin. Specialising in high performance tyres for cars, truck and agriculture, retail and wholesale, Kevin Burke Tyres offer free and impartial advice on the best quality tyres to suit all budgets. They stock all leading brands of tyres, with thousands in stock and they guarantee the best on price. Evidence of the high quality of service provided by KBT came in the form of their achievement in finishing as runner-up in the 2010 and 2011 Semperit Retailer of the Year awards. The awards recognise and reward improving standards of customer service in the tyre industry. Each participant is judged on how they demonstrate excellence in customer service and KBT ticks all the right boxes.